***MOTIVATED SELLER***FRESH PRICE***GARAGE APARTMENT*** The historic home was recently renovated and is bathed in natural light. Updates include new kitchen cabinets, quartz counters, appliances, tile, paint, fixtures. Original wood floors upstairs have been refinished, plumbing & electrical updated, brand new roof. The list goes on and on! Master bed and bath, complete with double vanities, is conveniently located downstairs. 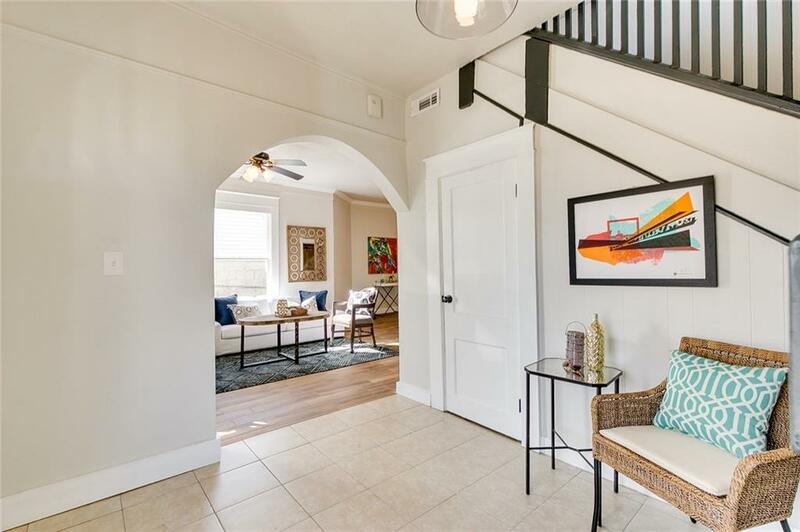 Three additional bedrooms and bath are upstairs, connected by the large landing just waiting to be transformed into a cozy reading nook or home office space. Plus, did we mention the garage apartment?! Large backyard just waiting for someone to add their personal touch to it. Perfect for that family looking for additional income. Conveniently located in the heart of the city's urban core, close to the Plaza District, Paseo, Uptown and Classen Curve. Seller will also add insulation with full price offer.